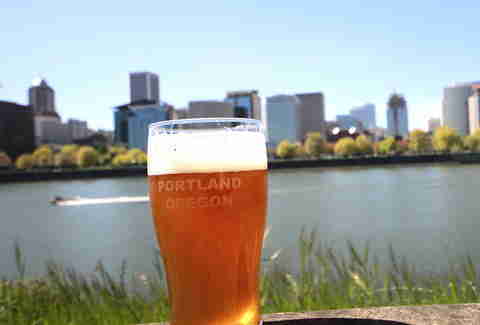 The best beer city in America is definitely Portland, except for when it's San Diego or Denver or Philly. Any serious beer drinker has an opinion on the matter, and there are no more serious beer drinkers than the brewmasters who get paid to make and drink beer for a living, those lucky so-and-sos. That's why we asked some of our favorite brewmasters around the country for their opinions. We gave them one rule: they couldn't select their own city. Anywhere else was fair game. If you love beer, these guys have basically planned your next few vacations. "Sure, San Diego has beaches and great beer, but to me Portland, ME is Beervana. The beauty of this peaceful, oceanside Northeast city is contrasted by a vibrant and amazing beer community. You've got one of the most reputable and storied breweries in the world with Allagash Brewing Co. that brews phenomenal beers across a diverse range of styles, from clean and approachable to funky and wild. Then, right across the street, you've got a few startups rocking their own thing, my favorite being Bissell Brothers Brewing Co. These guys are loud and bright, and they brew and can some of the best IPAs in the Northeast, including The Substance, their flagship IPA, and Swish, a dreamy double IPA. "These days it's gotta be Chicago for me. I only get out there once a year, but I'm astounded at how the culture of beer has flourished in the last few years. 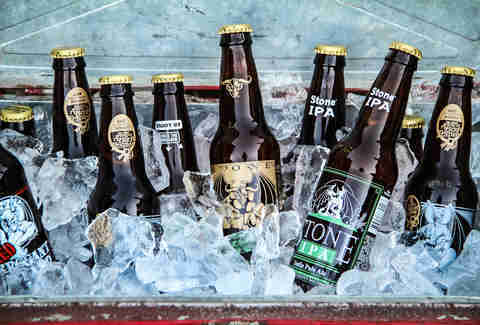 Not only from local breweries, but from the fact that every bar has embraced the world of beer. 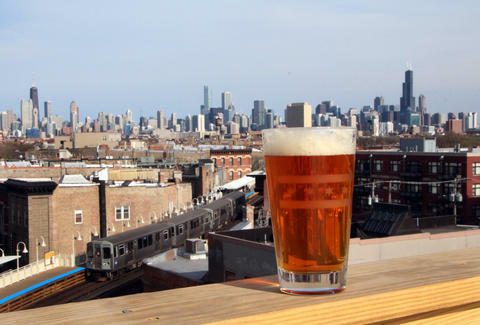 You want to roll with the old stalwarts like Goose Island, Half Acre, Piece, and Haymarket? The pioneers of the Chicago scene are still crushing it. You want to try one of the newer breweries? Off Color, Pipeworks, Penrose, Spiteful, and another 80,000 breweries have your back. "And the bars all seem to be ahead of their time -- e​very time you walk into your favorite bar, there are a dozen new beers to try. With so many great beers at their fingertips, why wouldn't they want a different lineup every week? And why wouldn't I want a 3 Floyds Gumballhead with breakfast at the Little Goat? Why wouldn't I hit up Hopleaf for a duck Reuben and a ridiculous international beer selection? Why wouldn't I go to Au Cheval for a brunch burger in the morning, then Kuma's for a dinner burger (true story), with monster beer lineups at both places? "The explosion of craft beer has reached America's heartland in the bastion of what was an area originally littered with industrial-strength regional yellow lagers. They still taste great with their mild and accessible flavors, but now they stand side by side with a wave of craft breweries like Surly (with Furious for maximum hop flavor) and Fair State Brewing Cooperative (with Roselle, a sour saison with hibiscus, and its soft, subtle complexity). "Your father's bar is still alive as well and now serving great beers in their familiar comfortable settings. In Minneapolis, pull up a stool at Grumpy's NE and take in the history with its decor of local historical beer signs and breweriana while enjoying a Bell's Two Hearted Ale made in neighboring Michigan. Additionally, Muddy Pig in nearby St. Paul has a large tap selection with accessible pub menu offerings. Lee Breslouer is a senior writer for Thrillist, and agrees with the Denver pick. Follow him to Beervana: @LeeBreslouer.